Be sure that everyone in the family knows where they are located and how to use them. 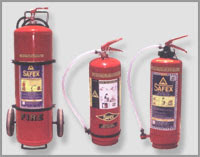 These are all very great and useful (mostly common sense) tips on the location of fire extinguishers. 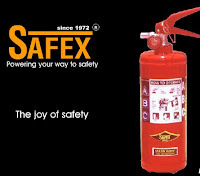 If like my office there are one or two Powder Fire Extinguisher then make sure to periodically turn this upside down and tap the base to make sure the powder loosens up.